A Cincinnati public school fights to break the cycle of poverty in its traditionally Urban Appalachian neighborhood, where senior Raven Gribbins aims to be the first in her troubled family to graduate and go to college. When Principal Craig Hockenberry’s job is threatened, it becomes clear it’s a make-or-break year for both of them. 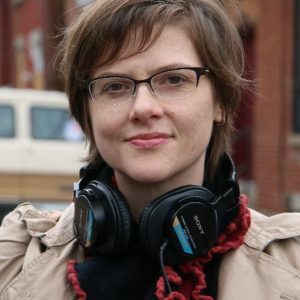 Amy Scott is an independent documentary filmmaker and the senior education correspondent for Marketplace, an American public radio business and economics show. Her reporting has earned several national honors, including a 2013 Gracie Award and an Edward R. Murrow Award in 2012. Before joining Marketplace in 2001, she worked as a reporter in Dillingham, Alaska, home to the world’s largest wild sockeye salmon run. A native of Colorado Springs, Colorado, Scott has a bachelor’s degree in history from Grinnell College and a master’s degree in journalism from the University of California, Berkeley, where she studied documentary filmmaking.